My 11-year-old niece, who lives in Beijing, came for a sleep-over visit yesterday. 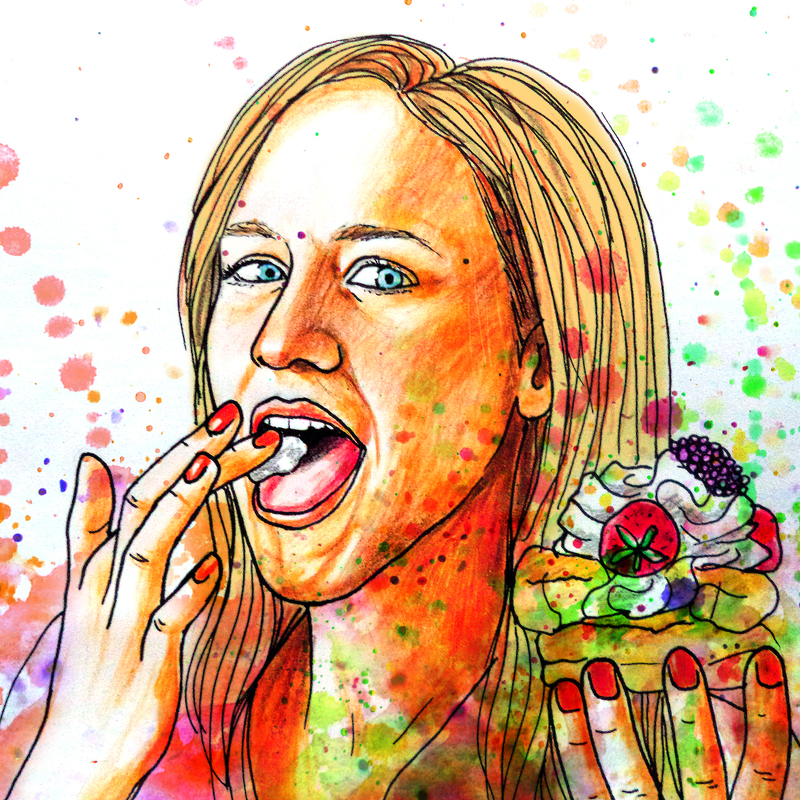 She and I are like two peas in a pod: both really into creative, crafty things. She dutifully said “that’s cool!” and “awesome!” to all the handmade stuff I showed her (knitting, jewelry, sewing), and we spent time making bracelets and necklaces together. I suggested that we could sew a bag for her and she got really excited. We drew some ideas and decided it had to be big enough for her to carry her books and laptop (that kid’s got a MacBook Pro — sheesh), so a tote bag it is. At first she decided she wanted it made from the leftover green woodgrain fabric I used in my retro tank top, but when we brought it to the fabric store to find matching lining fabric, all bets were off. Like a good little mini-me she lost her marbles when we went into The Workroom and she saw all the cute cotton prints, and we spent quite a while choosing her favourites. Let me introduce you to The Workroom’s resident dog. 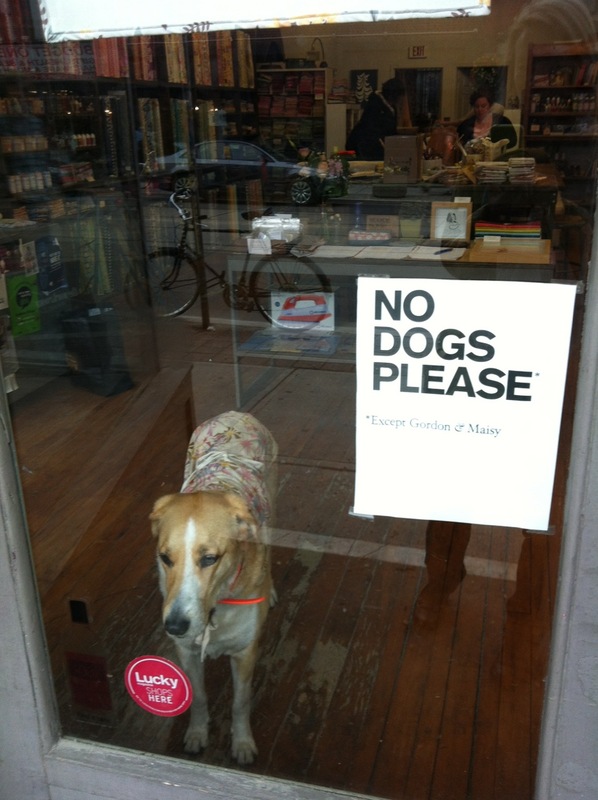 I’m assuming this must be either Gordon or Maisy, judging by the sign on the front door. S/he is sporting a lovely cotton apron.(!) Through the glass you can just make out the shelves of colour-coordinated fabric on the left wall. And here’s the fabric my niece decided on for her bag. She’s got a good eye for colour, that one. 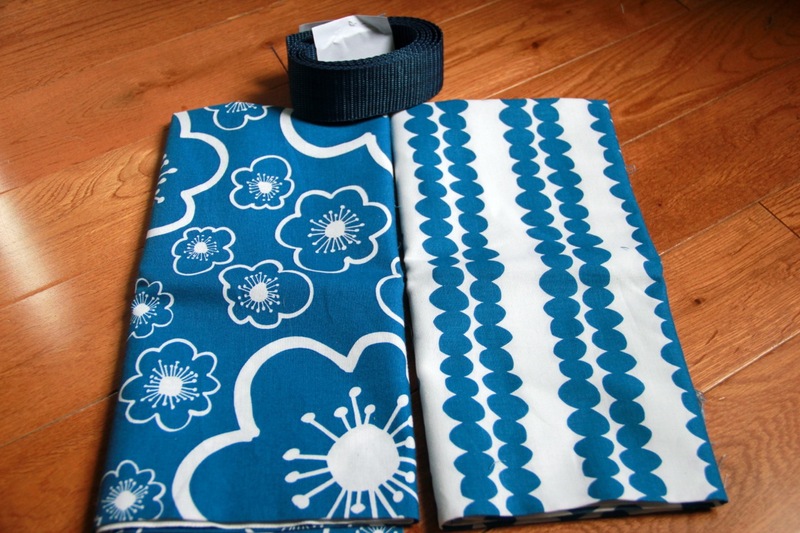 Blue & white cotton prints for the tote bag. We bought the nylon strapping at Designer Fabrics just a few doors down. It’s navy blue, but it was the closest match we could find. By the time we finished our fabric shopping it was time for my niece to go back to her family, so we decided I would sew the bag for her and give it to her for her birthday in July. I’m thinking I’ll go with a simple rectangle shape, fold a pleat at the corners to give it a few inches of width at the sides, and either make it reversible or perhaps make it one-sided and put a magnetic snap closure on the inside at the top. 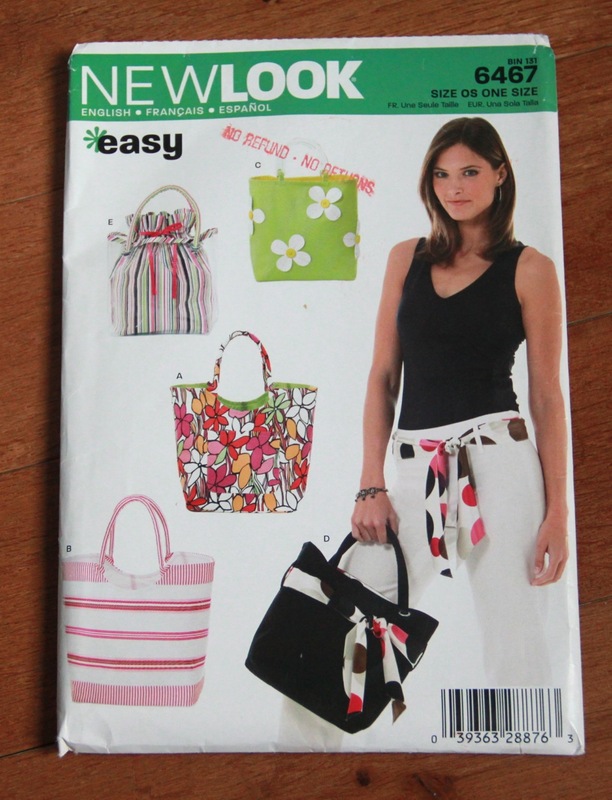 I’ve often used New Look 6467 (View A) to make tote bags, but I’m thinking I’ll just wing this one. What would you do with it? Do you have a favourite go-to bag pattern? The New Look 6467 bag pattern that I’ve used a lot in the past. View A is my fave. Previous Previous post: New Patterns! But WTF, Butterick.com? Next Next post: Paneled Sheath Dress: sewing success!